Another festival classic is our film breakfast. 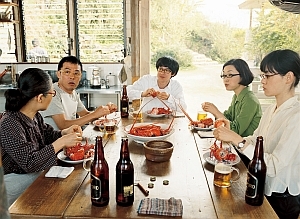 As every year since the first festival, an exquisite breakfast buffet that you can enjoy in combination with the likeable island film GLASSES by Naoko OGIGAMI awaits you on Sunday morning. The perfect start for a blithesome festival day.